The frost came to Edinburgh. I took Jethro to the library and we crispy-crunched slippy-slid our way along the pavements. 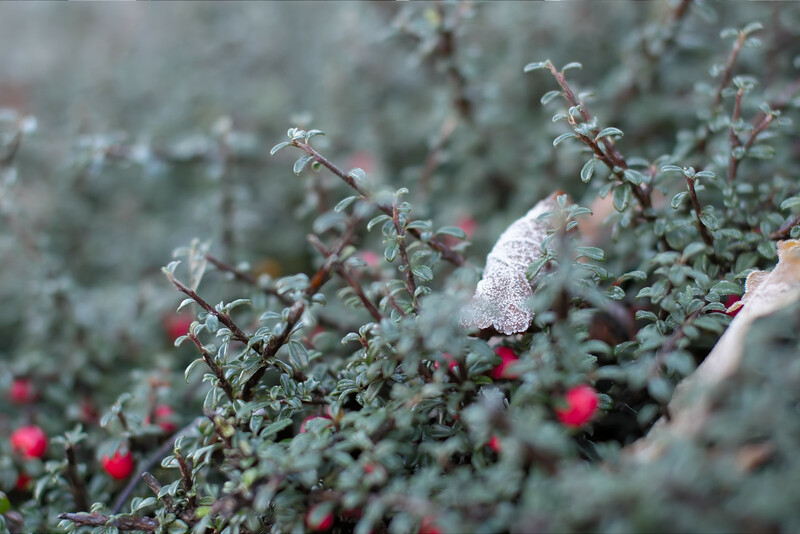 I spotted this frosted autumn leaf in a frosty shrubbery. Took a snap. Didn’t quite come out the way I hoped and the other pics, illustrating the expanse of frostiness across the shrubbery, just looked terrible. Still we have a frozen leaf in the shade. Cold and sombre-looking, with some vaguely cheerful berries spotting the image. Winter is coming. I wonder what the snow will be like.